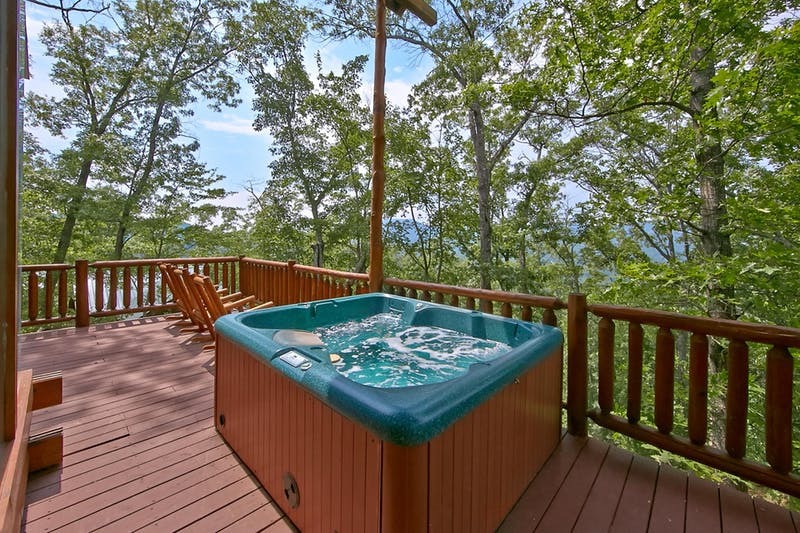 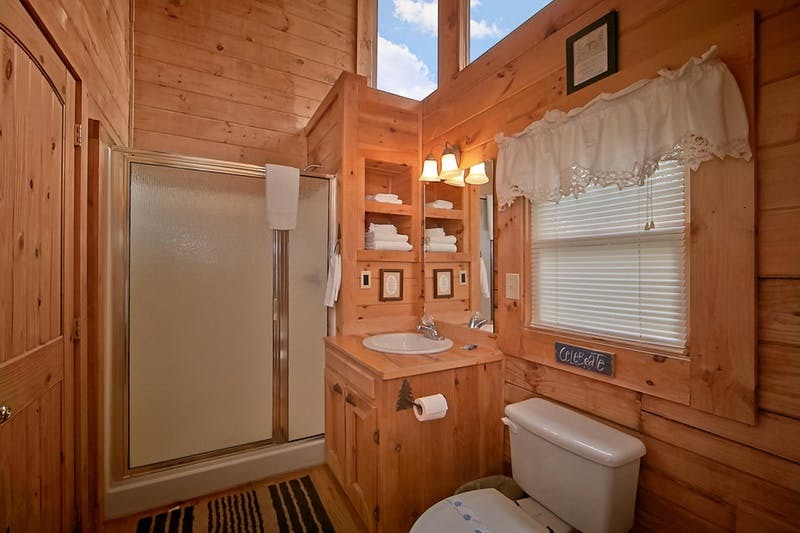 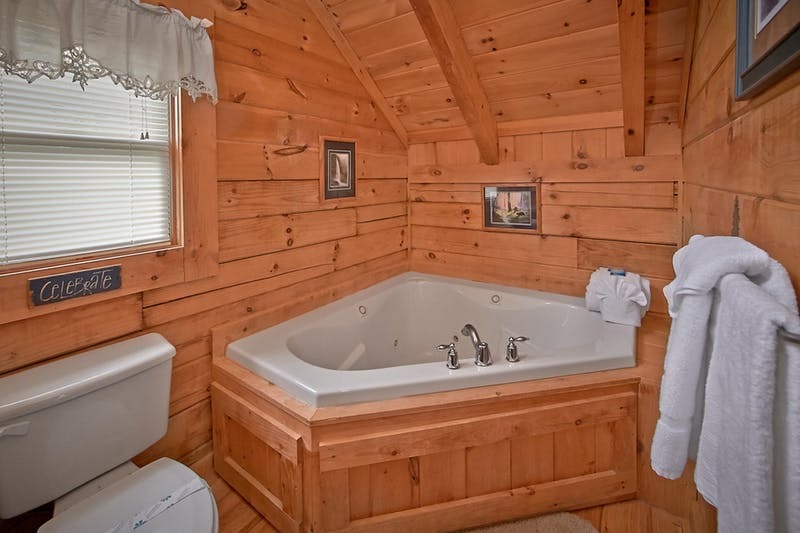 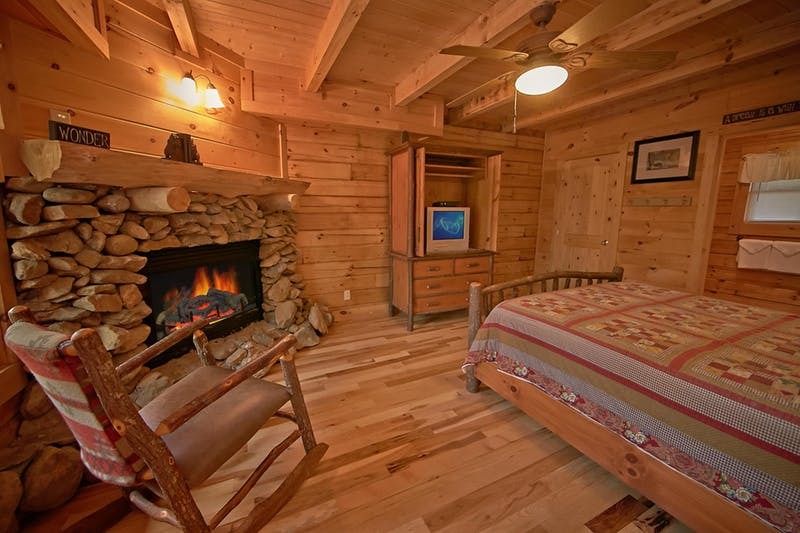 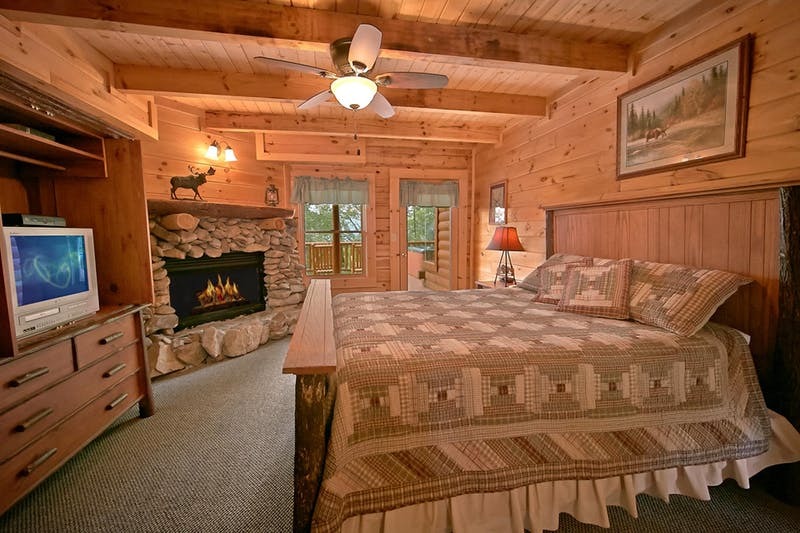 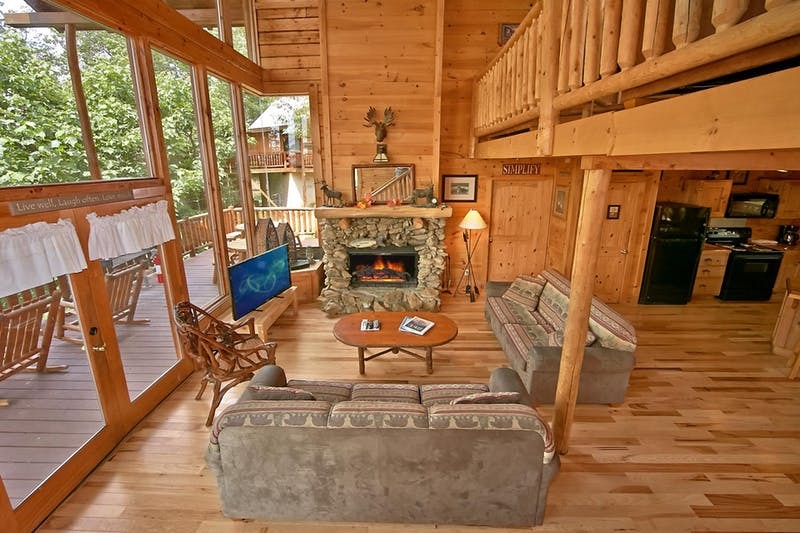 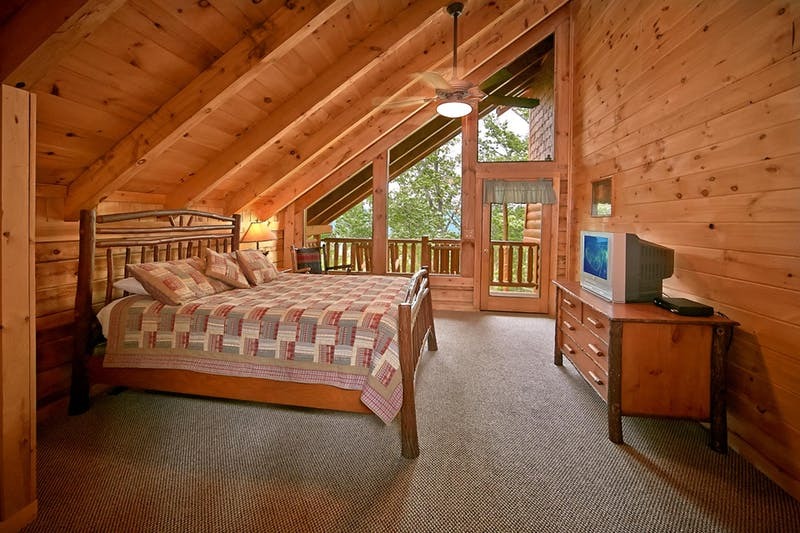 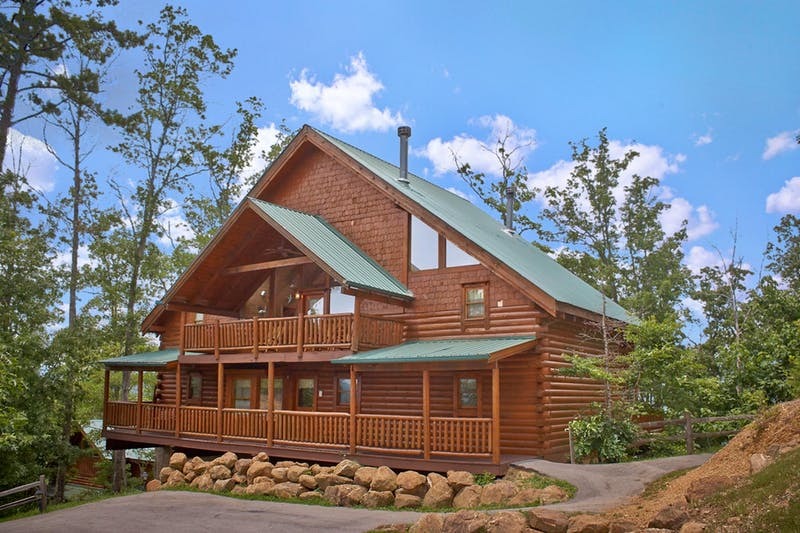 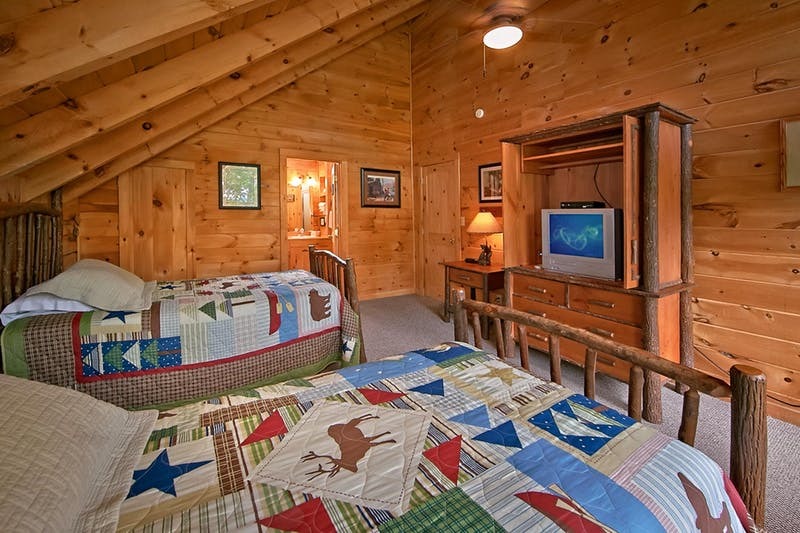 Majestic views await in this four-bedroom, four-bath log cabin. 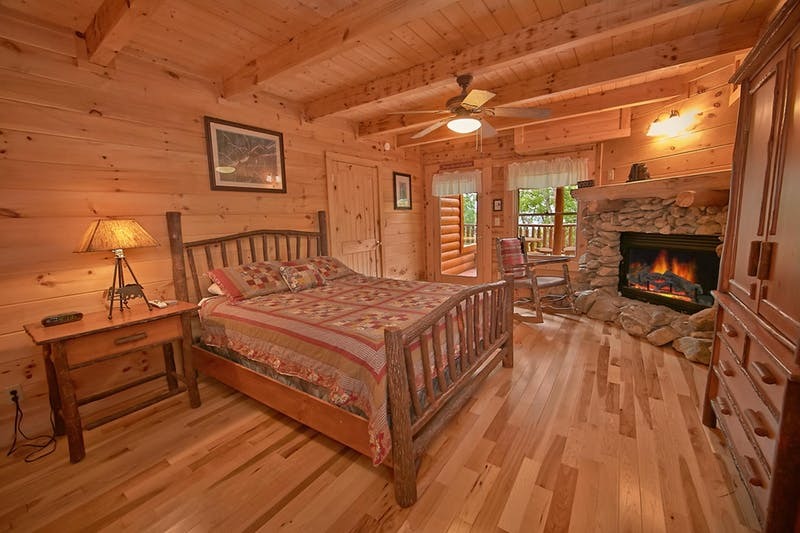 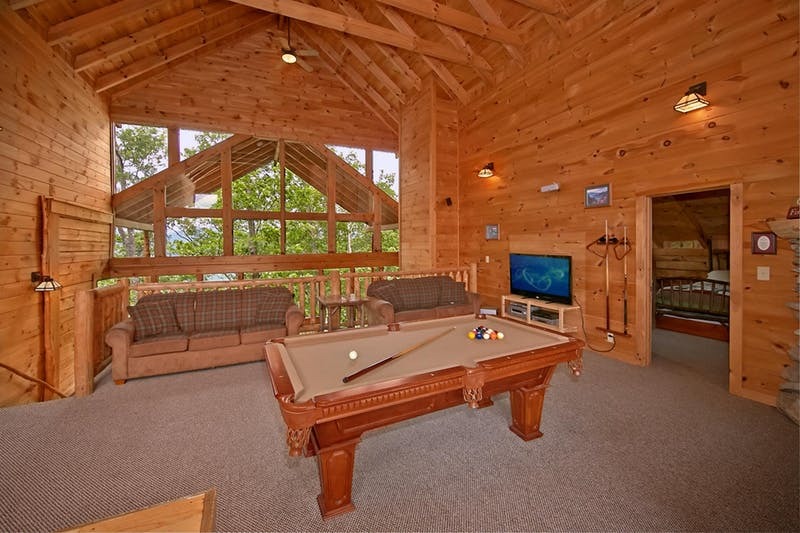 Sleeping fourteen, Majestic View has more than enough room to accommodate your group to ensure a relaxing getaway to the Smokies. 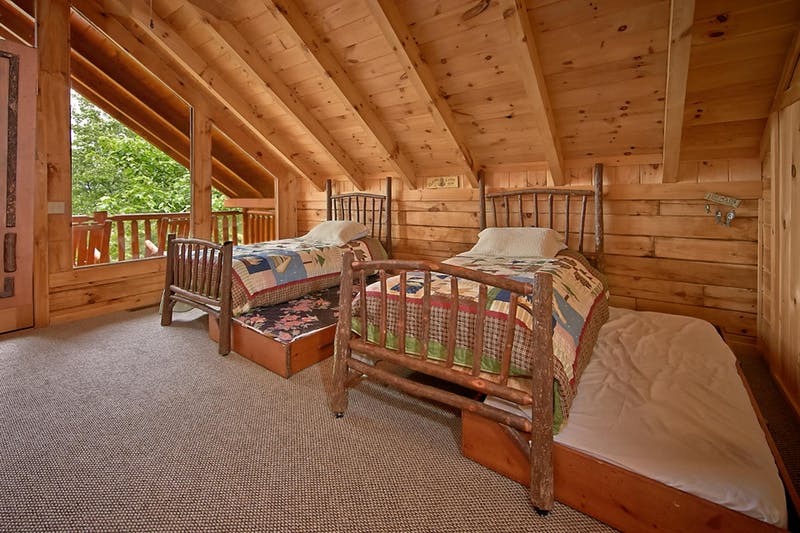 Choose from one of the three queen-sized beds, two sleeper-sofas, or two twin/trundle beds. 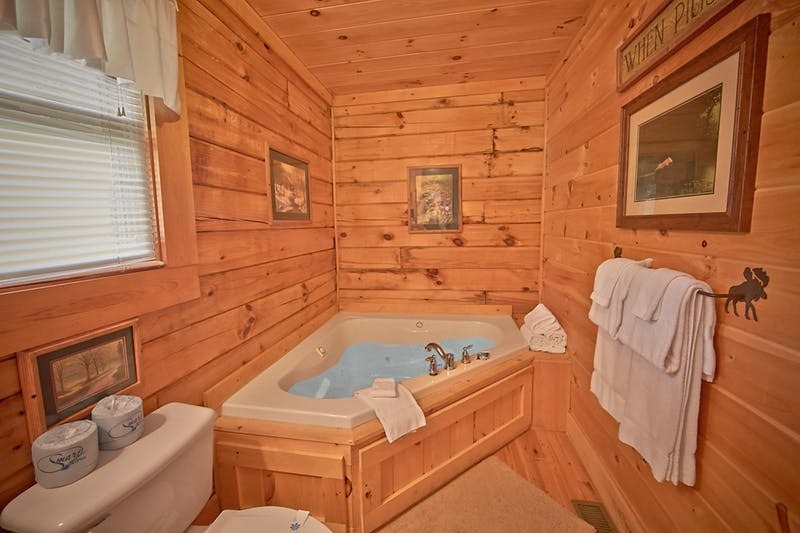 Bedrooms come with televisions, with select rooms featuring DVD players, fireplaces, Jacuzzi's, private baths, and access to a private balcony. 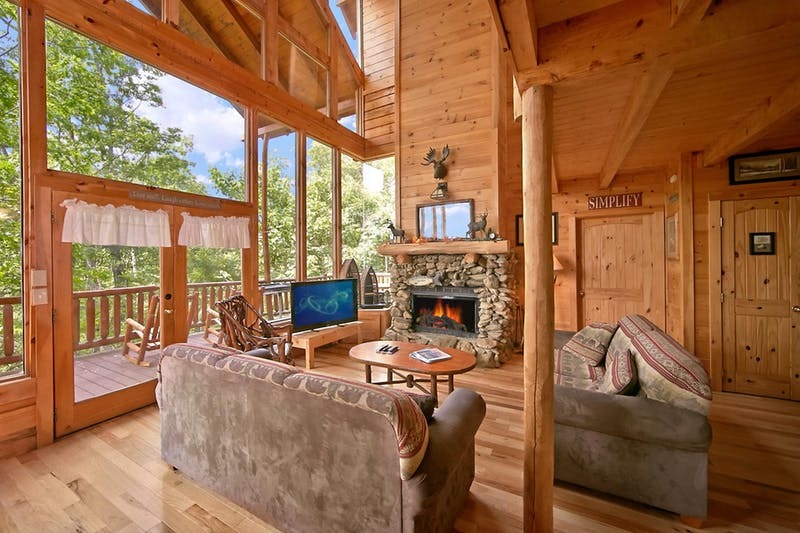 The living room is a cozy place for your group to gather, containing plenty of comfortable seating, a wood-burning fireplace, a flat-screen television with DVD/VCR, and floor-to-ceiling windows. 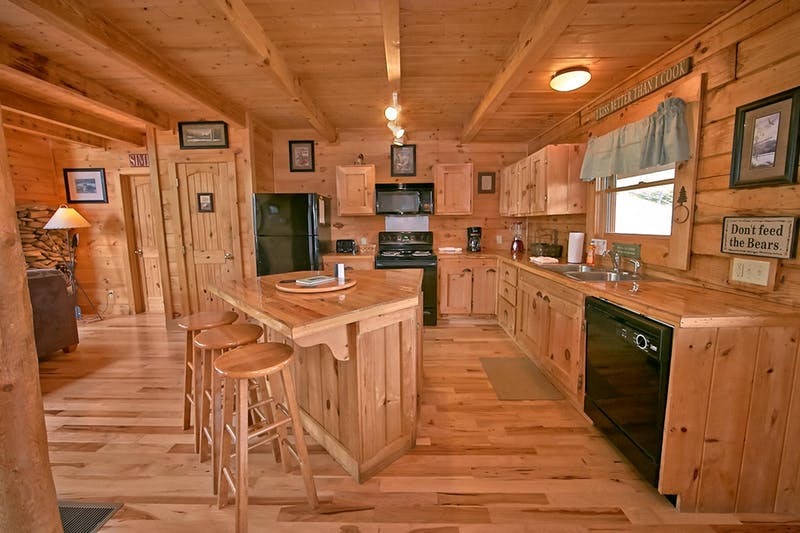 Cooking is a breeze in the fully-equipped kitchen, complete with both large and small appliances plus the outdoor charcoal grill. 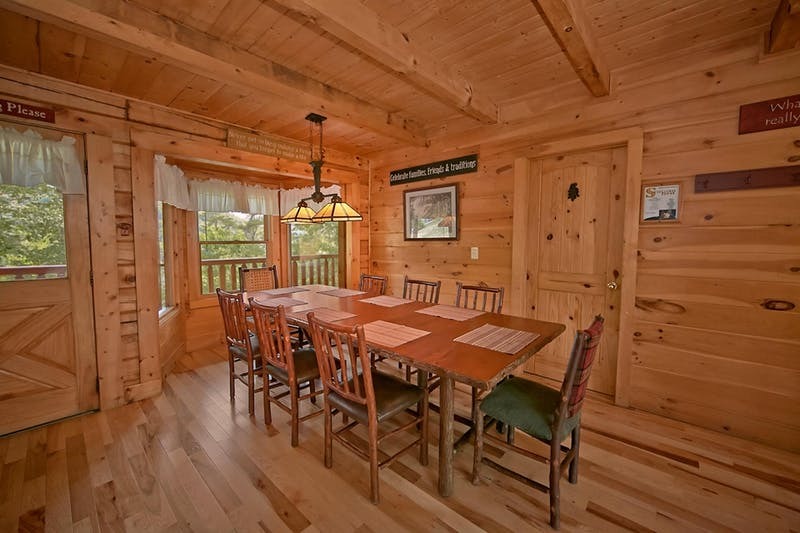 Serve meals at the eight-person table, and find additional seating at the counter. 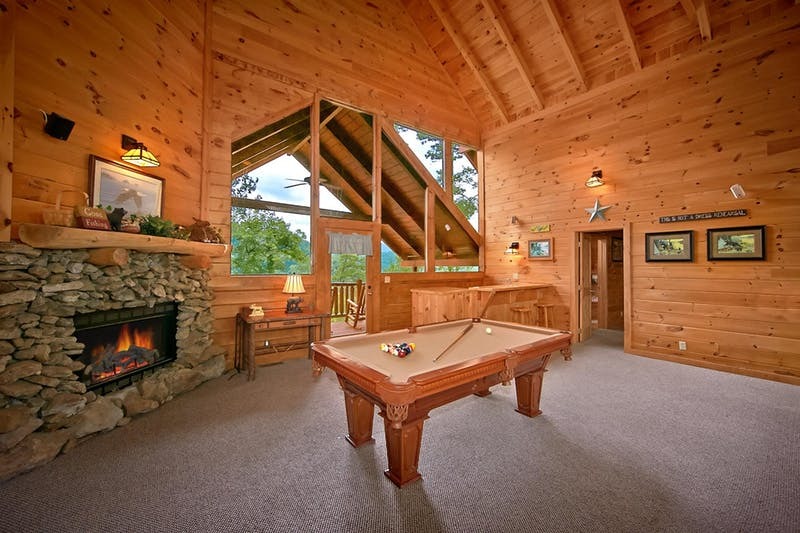 Hours of fun can be had in the game room, containing a pool table, a wood-burning fireplace, and a television with a DVD/VCR. 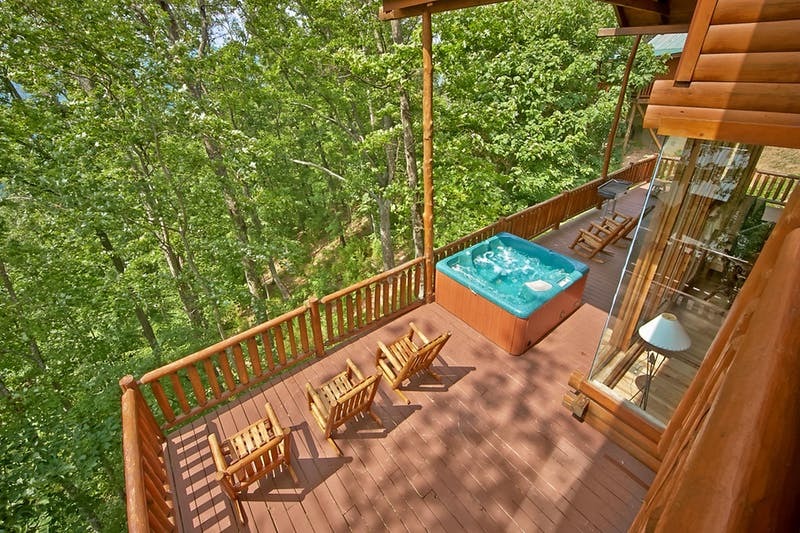 Take advantage of the outdoors on the spacious porch to soak in the hot tub, settle in the porch swing or rockers, or take your morning coffee at the picnic table. 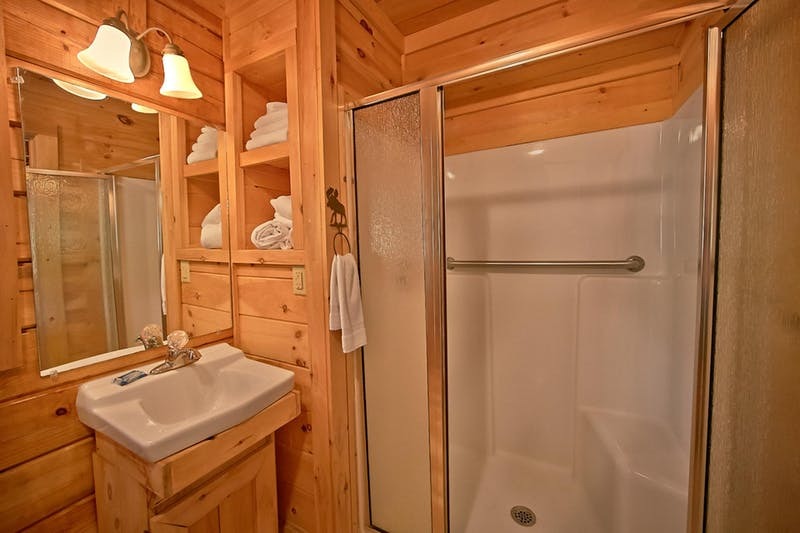 For your convenience, a washer and dryer is included as well as WI-FI. 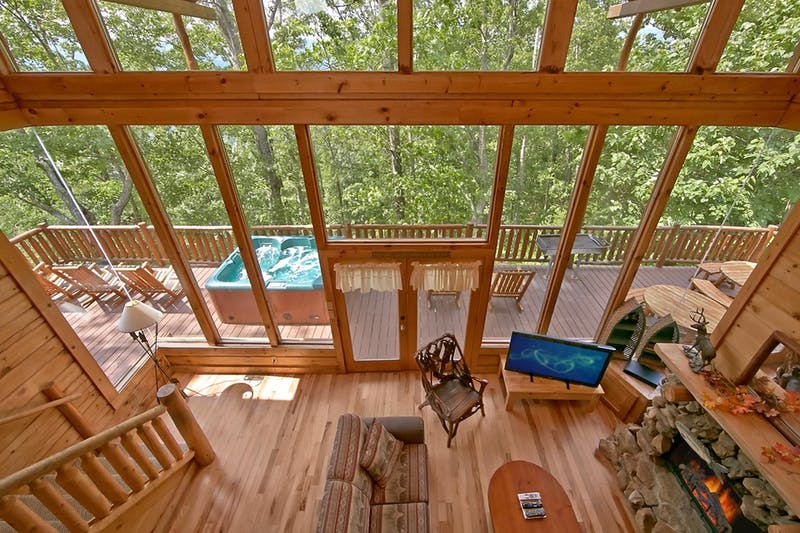 We apologize, but Majestic Views does not accommodate pets.